Here’s one of those moments in the aquarium hobby that just disgust us. A small group consisting of three men, one women, and a child walked into a mom and pop fish store and stole corals out of one of the aquariums when they thought nobody was looking. Located in Tonawanda, New York, Annette Kozak and her husband have owned and operated their store, Saltwater Paradise, for 20 years. This past Friday, they decided to take a day off and left one of their employees in charge. The coral thieves entered, turned one of the store’s cameras away from the aquariums, distracted the employee, and stole approximately $300 in coral. The men entered the store, used the women as lookouts, and proceeded to pick corals from the tank and place them into a plastic bag before leaving. The most expensive coral stolen was an Australian hammer coral valvued at $150. Fortunately, there is a glimmer of hope in this story. According to the store owners, there was another security camera located 10 feet away from the other camera, and it had the thieves square in its sights. The store owners identified one of the men by name and said he had been there before and even purchased some items. 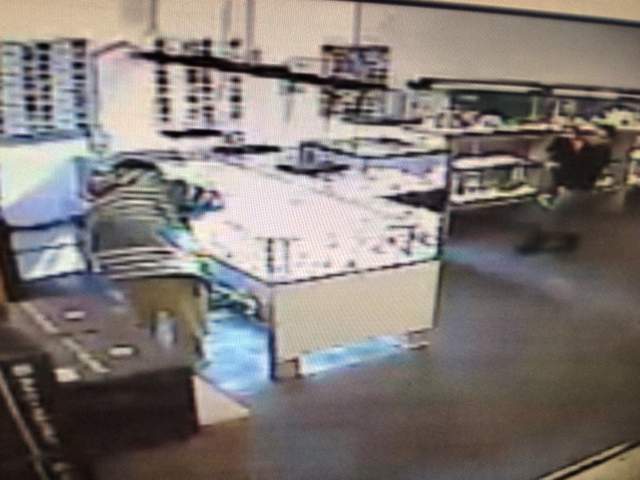 The fish store owners think he was casing the store for the robbery, which is very likely. While the store is lucky that more damage wasn’t done, they aren’t taking this laying down. They fully intend to prosecute, and we hope they catch the scumbags who did this, especially in the presence of a child. If you know who any of these four people are, you are encouraged to call the City of Tonawanda Police Department and report the crime. Story and video from WIVB News. There was a shop near where I live some years ago that had locks on the hoods of the tanks. When I asked why it was for this exact reason. Amazing what people will try to get away with.